With yields low and interest rates set to rise, now can be a good time to consider short-term, high-yield bond funds. Generally, the longer the maturity of the bond, the greater the interest rate sensitivity. Therefore investors are turning more to short-term bond funds now. However, the challenge of shifting to bond funds that are shorter in duration is that yields are extremely low for most short-term bond funds. This makes for somewhat of a conundrum for investing in bond funds now: To minimize risk of the price declines associated with rising interest rates, investors are faced with accepting lower yields when shifting to short-term bonds. A solution to this conundrum may be found in short-term high-yield bond funds, which can be an ideal choice in an environment where interest rates are about to rise but the economy is still strong enough to hold off the credit risk associated with high-yield bond funds. With that backdrop, here are three of the best short-term high-yield bond funds. When covering Kiplinger’s best Fidelity funds for income, I noticed one fund missing from their list, and that fund was Fidelity Short Duration High Income (FSAHX). In all fairness to Kiplinger, FSAHX may not be on their radar screen because the fund has only been around since November of 2013. But within the mutual fund industry, Fidelity is known for their experienced managers and skilled analyst teams. Therefore the newness of a Fidelity fund is not generally a concern. Year-to-date, Fidelity Short Duration High Income has an impressive gain of 2.6%, which compares to a dismal 0.5% for the Barclay’s Aggregate Bond Index. Also, compare the 4.99% yield with that of a bond fund benchmark like iShares Core US Aggregate Bond Index (AGG), which is yielding just 2.32%. If you want a five-star fund with a long track record of category-beating returns and high yields, Eaton Vance Short Duration Strategies R (ERSIX) is worth a close look. On the performance front, ERSIX beats over 95% of short-term bond funds for the one-, three- and five-year returns. Year-to-date, the fund is ahead of 97% of the category with a 2% gain. The lead portfolio manager, Eric A. Stein, has been at the helm of Eaton Vance Short Duration for more than six years, which is a tenure that gives him 100% credit for the fund’s impressive 5-year performance run. As with most high-yield bond funds, ERSIX can have wide swings in performance. In recessionary periods, the fund will likely produce negative returns but then can turn around and crush the bond market averages in economic recoveries. Another caveat to mention is that ERSIX is the R-share class (no-load) version of Eaton Vance Short Duration, which has several other share classes and is generally a broker-sold mutual fund. Outside of traditional brokers, investors can buy ERSIX through Fidelity’s Institutional FundsNetwork and through the discount online broker, TD Ameritrade. If you are looking for a fund that has one foot in high-yield bonds and the other foot in higher credit quality bonds, you’ll want to take a look at Vanguard Short-Term Investment Grade (VFSTX). As its name suggests, most of the portfolio’s bond holdings have credit ratings hovering around investment grade (A-rated and BBB-rated bonds). The investment-grade rating provides yields that are higher than average short-term bond funds, which creates a good balance between minimizing interest-rate risk on the short-term side without jumping too deep into the credit risk associated with most high-yield bond funds. In other words, Vanguard Investment Grade strikes a delicate balance that can produce better returns than the average short-term bond fund but with lower market risk than the average high-yield bond fund. As of this writing, Kent Thune did not personally hold a position in any of the aforementioned securities. However some of his clients hold AGG. His No. 1 holding is his privately held investment advisory firm in Hilton Head Island, SC. Under no circumstances does this information represent a recommendation to buy or sell securities. 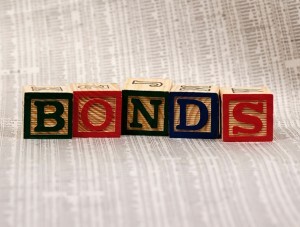 Article printed from InvestorPlace Media, https://investorplace.com/2015/08/3-high-yield-best-bond-funds/.